Nearly half of staff in media companies would leave their company tomorrow if they were offered another job, according to a survey from the company behind The Sunday Times Best Companies to Work For list. Jonathan Austin, the founder and chief executive of Best Companies, which puts together the list, said 45 per cent of media company staff surveyed in its most recent research said they would leave tomorrow if they had another role to go to. 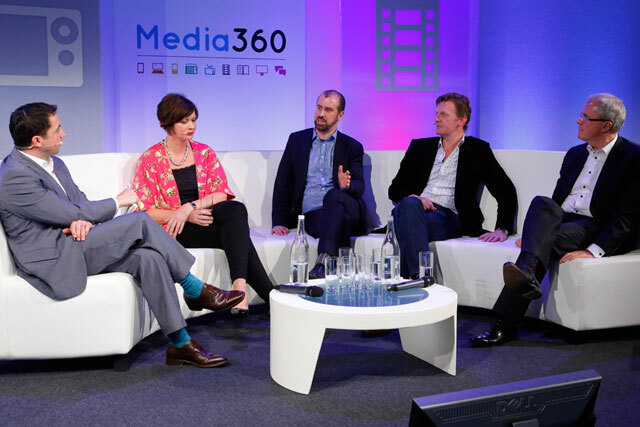 Speaking in a panel on talent hosted by Media Week editor Arif Durrani at the Media360 conference in East London, he said the media companies that best retained talent were those that were "great at building energy and building relationships". The Sunday Times Best Companies to Work For list is released annually and ranks the companies that have the most engaged and happy staff, using a confidential employee survey. Austin told the audience at Media360 that building engagement involved being "clear about [your company’s] reason for being beyond making money." He said engaging senior managers with the business made the greatest difference to a company’s score in the Best Companies research. He named agencies such as PHD and Carat, which have scored well on the Sunday Times list, as examples of good practice. Verica Djurdjevic, the managing director of Omnicom’s PHD, said in the panel: "Churn is a really major challenge in our business, because we are focused on human talent." She noted that 50 per cent of workers in London claimed they would probably be looking for a new job in the next year, in a recent survey. PHD has introduced initiatives such as quarterly, informal appraisal sessions and "postcard" style forms that staff can use to raise issues within the company. To raise a complaint or problem, staff members first have to suggest a solution and take the first steps towards achieving it, and note this on the post card. Djurdjevic said: "At PHD our expectation is that people will take responsibility to create change for themselves on a day-to-day basis. It’s empowerment." She also encouraged agency management to allow their staff to move around the business and find new opportunities. Djurdjevic said: "The best thing you can do for your children is to give them the roots of responsibility and the wings of independence. "The thought of mixing things up can be very nerve wracking, but you need courage as leaders to give people the opportunity to move around, so they don't have to move externally to do that." In the most recent Best Companies research, 83 per cent of people at PHD said they felt they could make a valuable contribution to the organisation's future.